Graham Wade was born 16 August 1931 in Junee, New South Wales. He once wrote that while at school he did two noteworthy things: Won a national magazine's competition for kids to produce a comic ("As this was during WWII, it was about Japanese spies and Aussie heroes") and more importantly gave his life to Christ during a Scripture lesson ("Churches can teach in public schools in Oz"). Wade said that his faith was the most significant factor of his life. After Wade illustrated the first Jungle Doctor fable books, (c.1955) the author, Dr. Paul White, asked him to take some of the stories and turn them into comics. The first comic he drew was "Great Wall". Twelve Jungle Doctor comics were eventually produced, and originally these were in black and white. Only later, in 1981, were colour overlays prepared when a Hong Kong missionary press was found prepared to print large runs. Over a million of these comic books have been printed and distributed around the world in 106 languages. In addition to his Jungle Doctor work, both the Bible Society of Australia and the United Bible Societies commissioned Wade to create comics, too (Some covers shown at left). 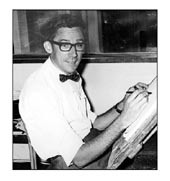 Whereas comics were a great interest of Wade's the comparatively small demand in Australia meant he spent most of his career drawing for other purposes, including the design of postage stamps, illustrating books and Bibles for Africa and Papua New Guinea, and "lots of advertising print, displays and exhibitions for Qantas, the Australian Government and major Aussie corporations." Wade also directed films and was made a member of the Australian Cinema Pioneers. In 1964 he founded Pilgrim International, a Christian-based media company, and was the chief executive of that company for many years. 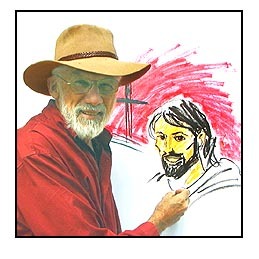 Wade was responsible for bringing two very successful COMIX35 Christian Comics Seminars to Sydney in 1998 and 2006 and was involved with COMIX35's International Christian Comics Competitions. 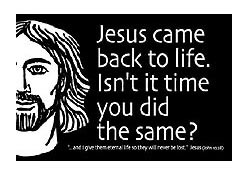 Many people in Australia were familiar with his "speed sketches" of Bible readings which were seen for years on commercial TV stations. These "chalk talks" were some of the most energetic and entertaining to be seen anywhere. Wade continued to do these events at schools and churches, as his health and schedule permitted, until the final year of his life. Graham Wade went to be with the Lord at the age of 78 on 24 August 2009. He is survived by his wife Ilda, having lost his first wife Gwennie to illness in 1991. He also left behind 3 adult children, 4 adult step-children, and 6 grandchildren.